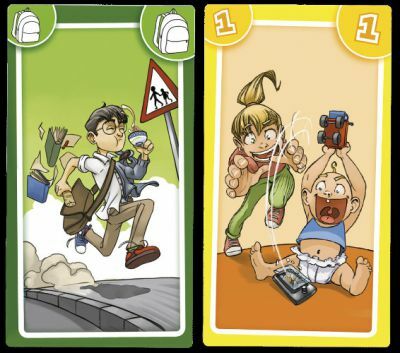 This pack of 50 cards is an initiative by the WDK Groupe Partner, a French wholesaler and publisher, to create a new game for schoolboy, based on French tarot. Many features have disappeared: no talon (chien) and no bids. There are 13 trump cards instead of 21. This simplified game for 2 to 5 players is aimed to be very fast and the design had been changed to reflect the life of a French schoolboy. The four suit signs are now four schools with different colours. Hopefully, some of the young players will move to the real game. Anyway, I approve this initiative as it adds dynamism to the playing cards market. It may even attract new collectors. Price and where to find: 10 € - 15 € and It should be widely available in France.